In recent years the LDS Church has been working to change its image of being an organization that tightly controls and artfully spins historical issues to its best advantage. In what has been called a “push for transparency,” the Mormon Church has published several essays online that reveal some of Mormonism’s sordid history, framed in an attempted “faith-promoting” context. 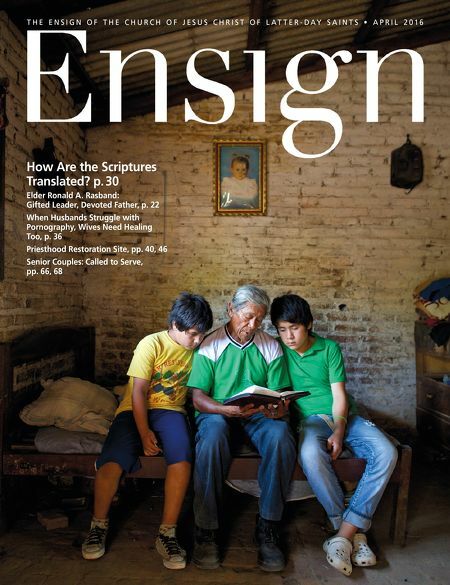 But the Church’s “push for transparency” apparently does not reach to its monthly Ensign magazine. This narrative of Mary Ann and Parley Pratt’s life together is far from “transparent.” Let’s look at some of the spin employed in this story. Mr. Hallstrom states that Mary Ann and Parley “were among those who made ‘the final weary gathering to Utah.’” This gives the impression that Mary Ann and Parley went to Utah together, a committed married couple. In truth, Mary Ann became estranged from Parley in 1846 when she learned about Parley’s numerous secret plural wives. While Parley went on to Utah in 1847, Mary Ann and her children went east to Maine, where she remained for several years. In September of 1852 Mary Ann finally arrived in Utah where she obtained a formal divorce from Parley in March of 1853. Mary Ann lived out the rest of her life in Utah as an unmarried woman. McLean’s wife, Eleanor, had abandoned her family to become Pratt’s 12th plural wife. Soon thereafter, in 1857, McLean learned that Eleanor and Parley were intending to abduct the McLean children and take them to Utah. After finding no help in this situation from the legal system, McLean and his friends took matters into their own hands — tracking, attacking, and brutally murdering Parley in Arkansas. Pratt was killed because he had taken another man’s wife for himself and intended to take this man’s children as well. While Parley’s murder was reprehensible, did he die “a martyr’s death”? Let the reader decide. In a short video on the LDS Church’s website, Church historian Stephen E. Snow speaks to people about “historical questions.” He says, “We want [members] to be able to go to a place where they can read accurate information…” Based on the historical spin found in Mormon Seventy Donald Hallstrom’s article, the Church’s official Ensign magazine is not that kind of place.